Rush Limbaugh launched his phenomenally successful radio broadcast into national syndication on August 1, 1988, with 56 radio stations. The show recently celebrated its 25th anniversary in syndication and is heard on nearly 600 stations by up to 20 million people each week and is the highest rated national radio talk show in America. Known as the media pundit who reshaped the political landscape with his entertaining and informative brand of conservatism, Mr. Limbaugh is also widely credited with resuscitating AM radio by many industry experts. In addition to his radio program, broadcast weekdays from noon to 3 p.m. 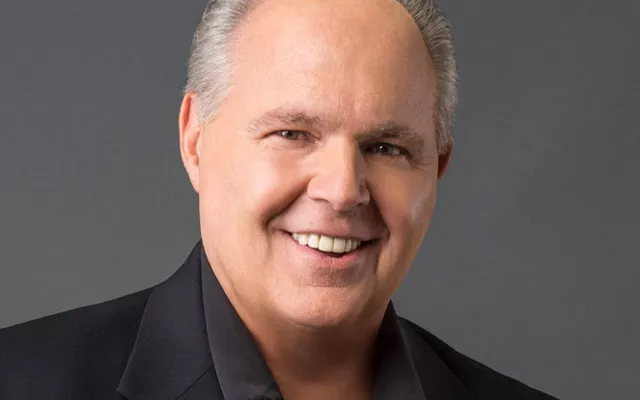 ET, Mr. Limbaugh hosts “The Rush Limbaugh Morning Update,” a 90-second commentary which debuted in March 1992 and airs Monday through Friday. “The Rush Limbaugh Show” and “The Rush Limbaugh Morning Update” are produced and distributed by Premiere Networks. With his diverse media background, Mr. Limbaugh is also the author of “The Limbaugh Letter,” the most widely read political newsletter in the country, as well as two best-selling books, The Way Things Ought to Be and See, I Told You So, which have sold more than 8.9 million copies. The sales of See, I Told You So set an American publishing record. In 2000, Mr. Limbaugh tackled the Internet, expanding his media dominance with the launch of RushLimbaugh.com. Employing cutting-edge technology, it is one of the most popular radio broadcasting websites. It offers subscribers the opportunity to experience his show via video and audio Podcasting as well as live streaming audio. Recognized for his achievements, Mr. Limbaugh received the Marconi Award for Syndicated Radio Personality of the Year given by the National Association of Broadcasters in 1992, 1995, 2000, 2005 and 2014. He was inducted into the Radio Hall of Fame in 1993, the National Association of Broadcasters Hall of Fame in 1998, and the Hall of Famous Missourians in 2012. In April of 2015, The Rush Limbaugh Show held its 25th annual on-air Leukemia & Lymphoma Society Cure-A-Thon. Each year, Mr. Limbaugh dedicates three hours of his nationally syndicated radio program to encourage listeners to join the effort to find a cure for leukemia, lymphoma, Hodgkin’s disease and myeloma, and to improve the quality of life for patients and their families. Over the past 25 years, Mr. Limbaugh and his audience have collectively raised nearly $44 million dollars for the Leukemia & Lymphoma Society, helping provide much-needed research and support for individuals and families affected by blood cancer diseases. Born Rush Hudson Limbaugh III in Jan. 1951 in Cape Girardeau, Missouri, to a family with generations of attorneys, he chose to explore his passion for broadcasting at age 16 by working on-air as a disc jockey for a radio station in his hometown. After four years, he left for Pittsburgh to work at the former ABC owned and operated KQV. He later moved to Kansas City where he eventually tired of disc jockey life and left broadcasting for business. He joined the Kansas City Royals as director of group sales in Feb. 1979 and later served as director of sales and special events. KFBK in Sacramento, Calif., where he nearly tripled the program’s ratings in four years. From there, he went to New York in 1988 where his record-breaking national show was born.